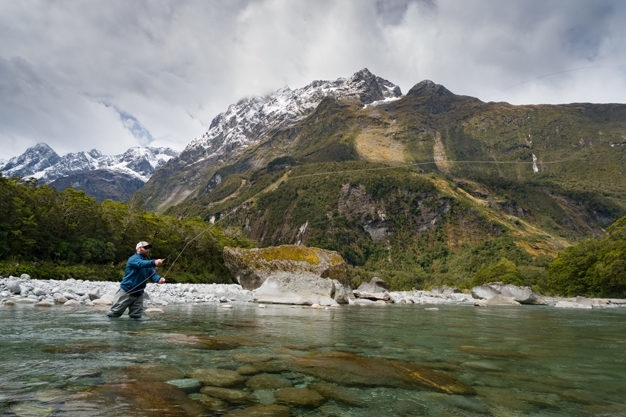 New Zealand is on the bucket list of pretty much every fly fisherman who doesn’t happen to live in, well, New Zealand. 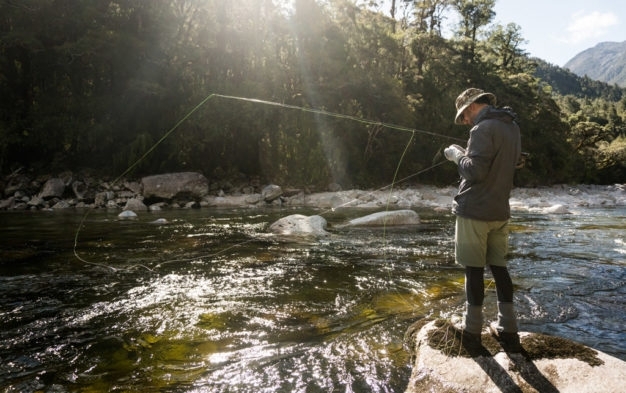 It’s a spot that often remains trapped on the list as opposed to getting checked off though, mostly because of the common misconception that only the super-rich can afford to go fish those waters. Not so! 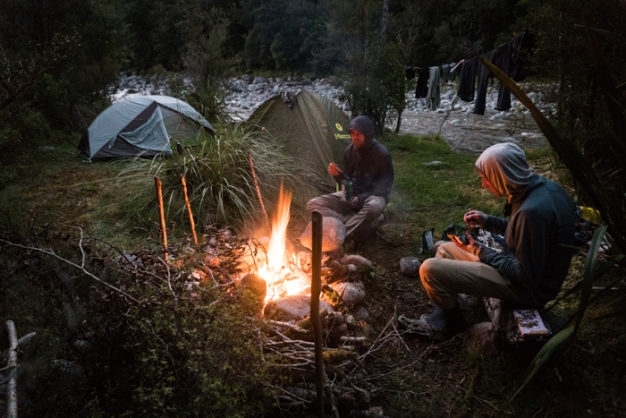 Yes, helicopters are nice; but four wheel drive and hiking boots work just fine as well, and as long as you are with someone who knows where to put them you can make the most of your time on the rivers of your South Island dreams. 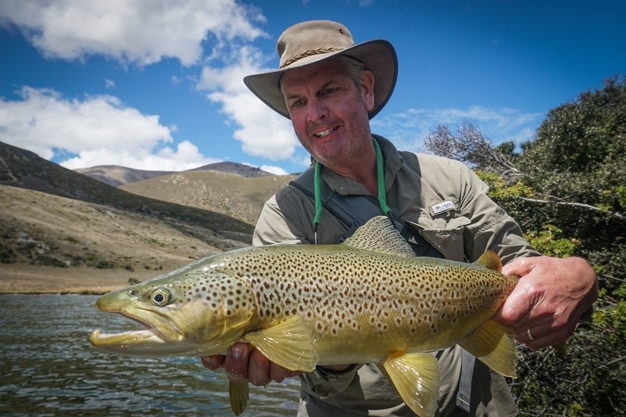 Brown trout were first introduced into New Zealand waters via the importation of 800 fertilized ova from Tasmania in 1867. 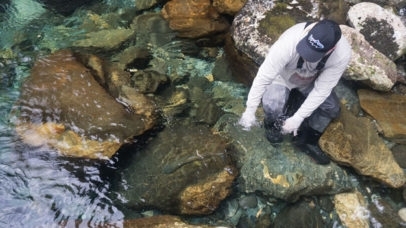 Rainbows arrived in the early 1880’s, descendants of the same McCloud River Steelhead that Argentine Patagonia was stocked with around this same time. Both species found a most excellent new home environment and soon became prolific, although the browns to a greater degree than the rainbows. 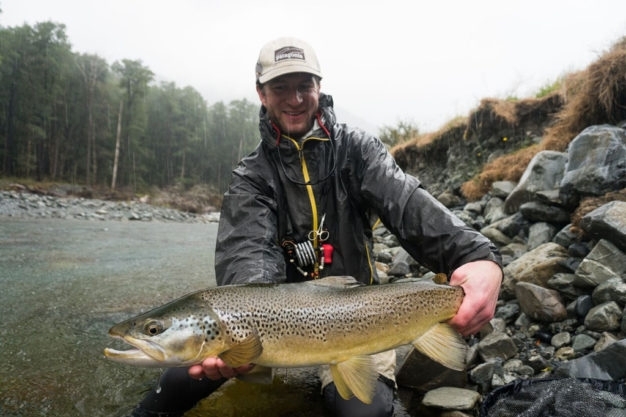 For a look at the history of this fishery along with spectacular views of its scenery and the fishing itself, the video above is well worth the time it takes to watch. Once you do though, the deal will probably be sealed - you're coming down. 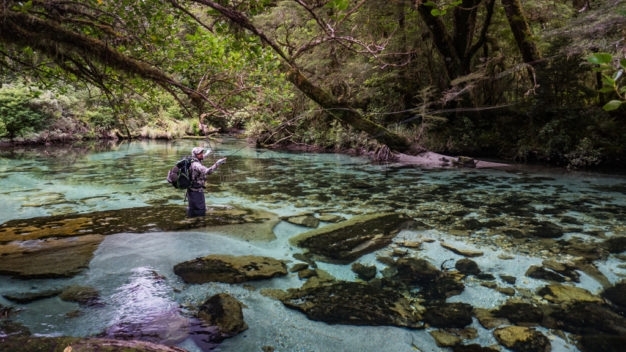 The truth is that New Zealand can be a pretty tough place to catch fish. But it’s worth it. 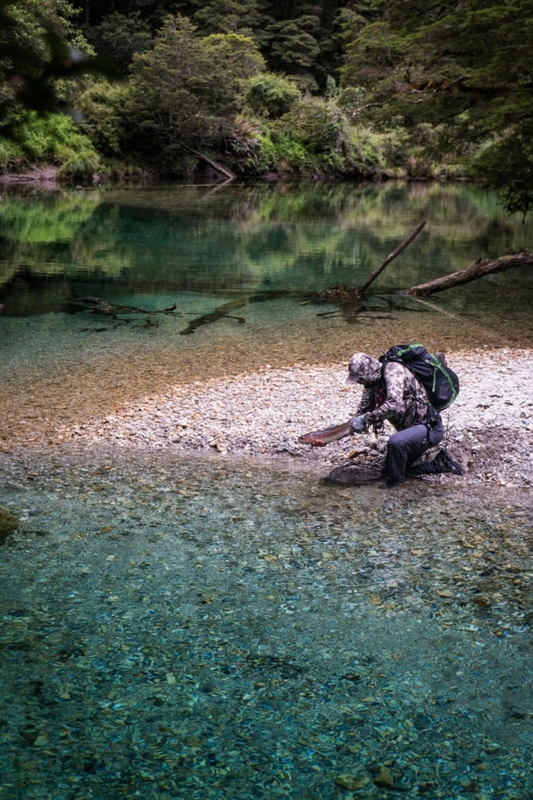 The trout are huge, the country is spectacularly beautiful, and no matter where you go the water is always clear. Accuracy, presentation and dealing with the wind are a part of the day to day. Much of the time we use long leaders and are sight-casting to very wary fish. 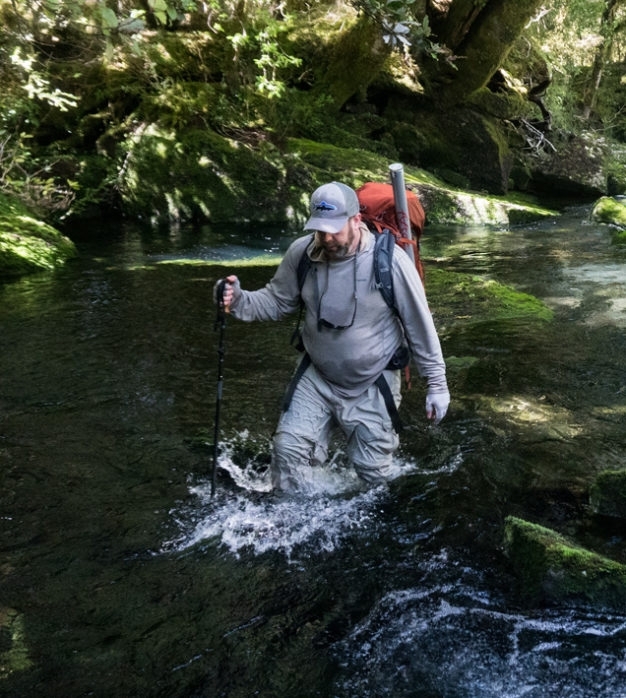 On a lot of river systems these fish can be quite spread out, so we generally walk long distances each day, and the terrain is not always easy. 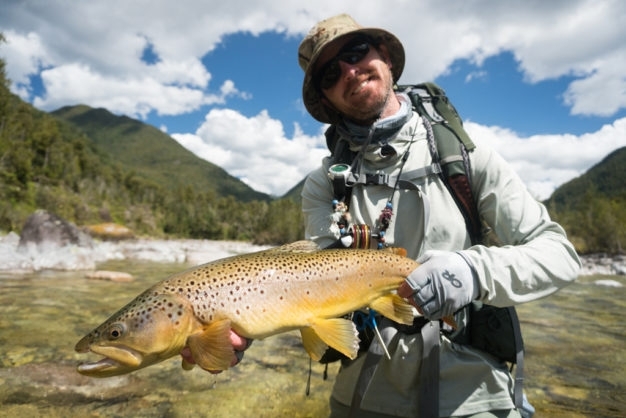 Clients should be prepared to fish big rivers, small creeks and still waters with dry flies, nymphs and streamers. 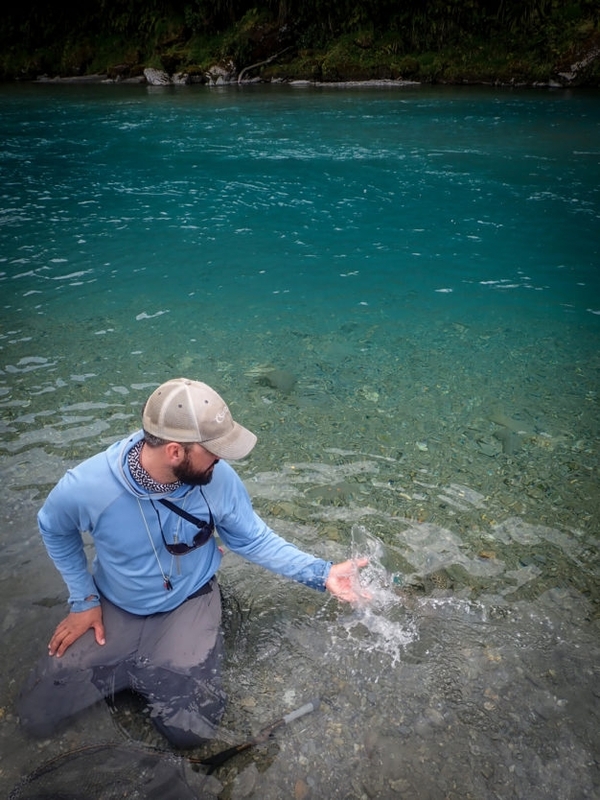 In other words, be prepared to fish pretty much every type of water, with every type of technique. 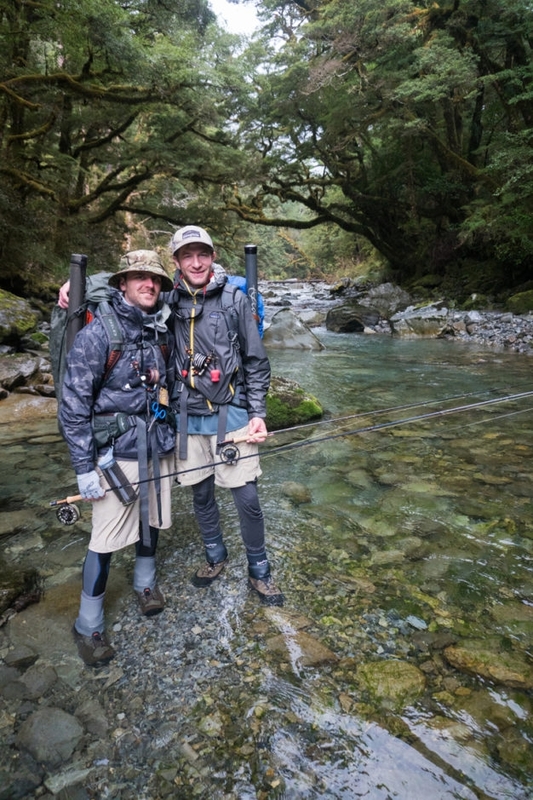 This diversity of fishing is rewarding in ways that easier places just aren't, and there is always plenty of adventure to be had along the way. Not to mention that the challenge will make you an even better fisherman on all the other waters you fish around the globe! 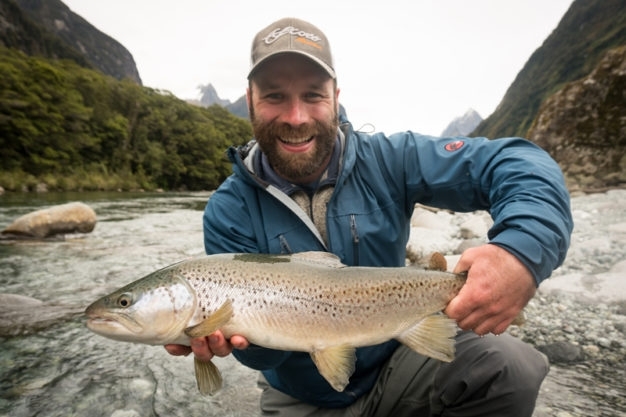 Hemisphere's Trout Bum New Zealand program fishes so many of these waters and with such a diversity of techniques across the season that there is almost always an option to fit any angler's personal tastes, and we spend enough time talking to our guests before the trip to formulate plans and timing that best suit their desires. 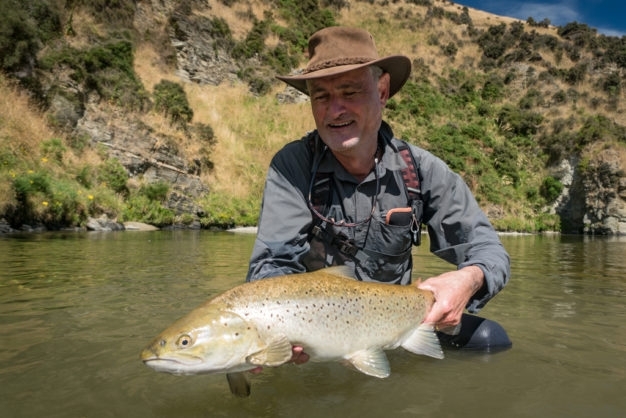 Trout season in New Zealand runs from the 1st of October through the end of April on most waters, with a few other remaining open until the end of May. Throughout the spring the temps can stay fairly low, but this prevents the sort of runoff problems drainages in other parts of the world experience. 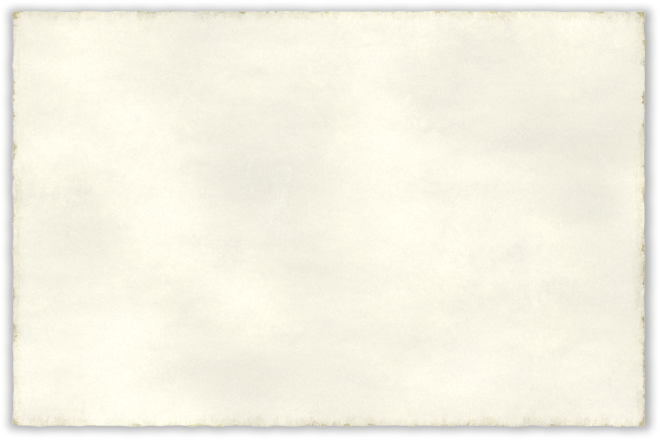 Our waters do rise, but generally in slow, steady, and still gin clear fashion. The tributaries of our southern lakes at this time of year are still full of post-spawn rainbows, plus the browns that have been harassing them throughout their September reproductive duties. 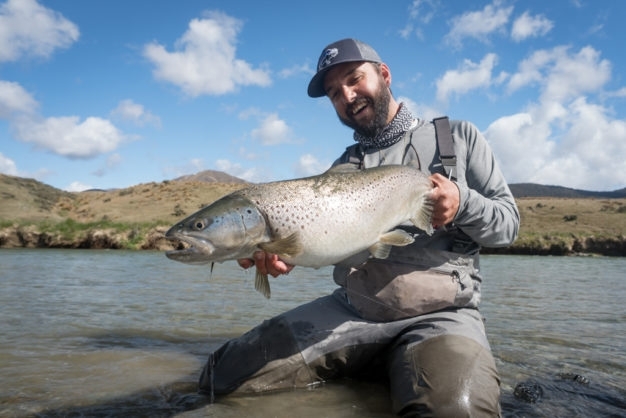 As summer temperatures rise we start to see prolific terrestrial insect life, and the fish that have moved back into their normal lies rise to these large bugs with more than willing appetites. 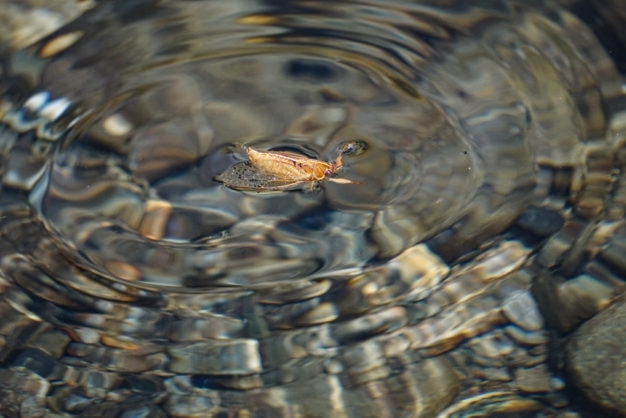 With Autumn’s approach most of the fishing switches to mayflies, and we have some of the best sight casting of the season as hatches and rises reveal the lies of feeding fish looking to pack on the pounds before winter. 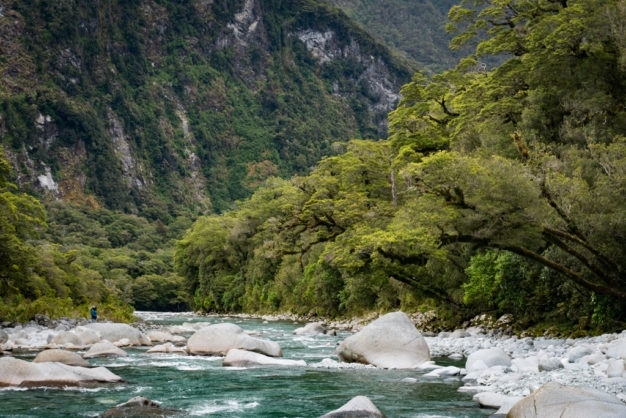 Our base of operations on the South Island is in the town of Wanaka. There are three international airports in close proximity: Queenstown, Dunedin and Christchurch which are serviced by a number of national and international airlines plus connecting bus services. 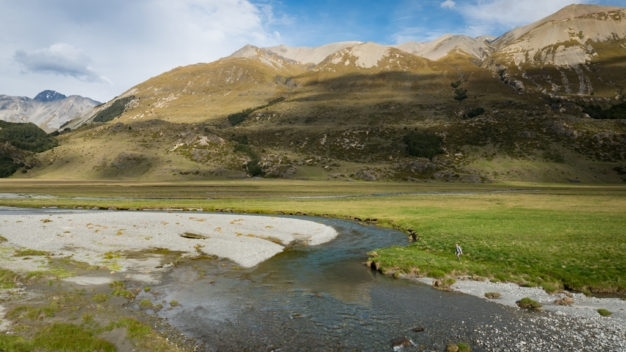 The closest international airport is Queenstown which is a scenic 45 minute drive from Wanaka. 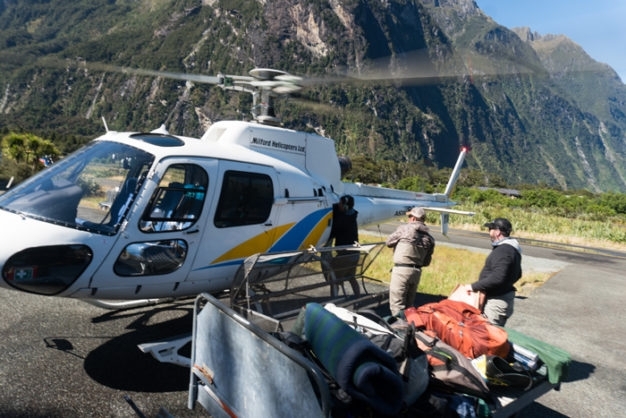 We generally suggest guests arrive in Wanaka the night before the trip's start so that they can adjust to the new time zone and start the trip fresh and with a full day. Custom itineraries can also be planned with pick up locations in other parts of the country - just get in touch and we'll put something together that suits you! The Road Trip Camp Out is the classic foundational structure of our Trout Bum Rio Pico program, easy to combine with some time in the back country and as flexible as it gets in exploring the waters you want to see. 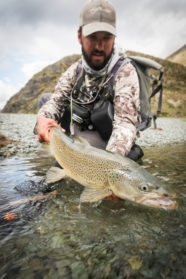 On the first day you will be picked up from your accommodation and head out for the first day of fishing, then that night set up a campsite that can be your base camp for the whole trip or just the first in a series of spectacular locations, whatever suites your plans and the conditions of that part of the season. Everything other than your license is included in this rate. Meals consist of healthy and filling breakfasts, stream side packed lunches, cooked dinners, and a selection of local wines and beers. Dinners generally consist of barbecued meats, fresh salads and vegetables, and various curries and pastas. A typical breakfast is muesli with fruit or toast, and good quality pressed coffees. 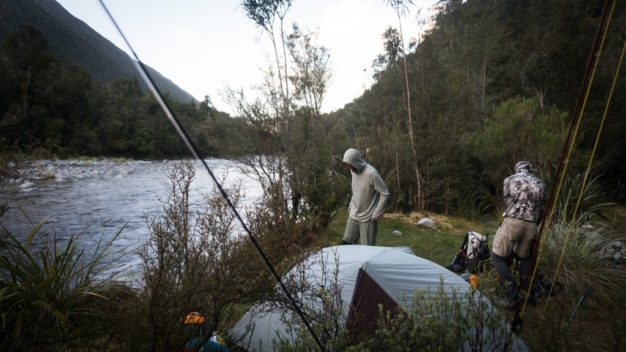 Guests sleep in quality MSR tents with ThermaRest air mattresses and warm sleeping bags. 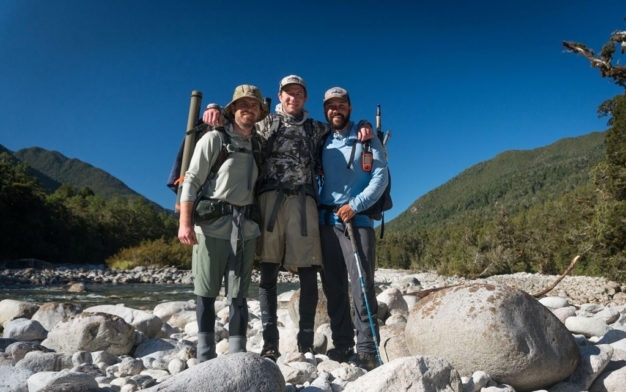 This is a great program for the physically fit and adventurous angler, and an easy combination with the road trip. 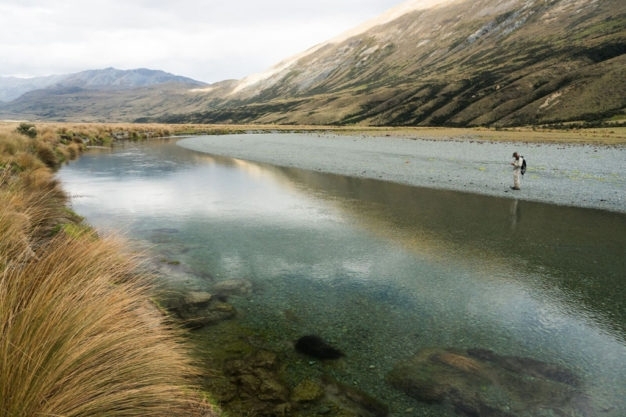 Walking into New Zealand's back country is as classic an approach to South Island fishing as it gets. Options and destinations are so numerous that the waters see very little pressure, and we are almost always guaranteed to have them all to ourselves when we arrive. 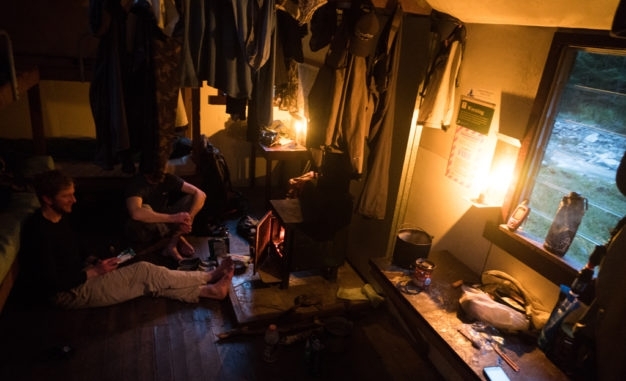 Food in the back country is basic but filling, with a menu generally consisting of freeze dried meals for dinner, mueslis and dried fruit for breakfast and dried meats and cheeses for lunch. 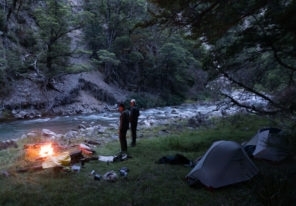 High quality, light weight MSR tents, ThermaRest inflatable mattress and backpacking packs are provided, and strong legs and good physical fitness are required. The Road Trip Cush is a great option for those who want to move around and see the country, but are less than excited about the idea of sleeping in tents. 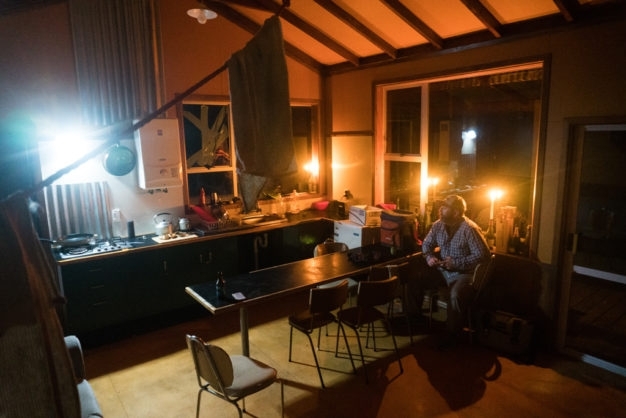 Just as flexible as our Road Trip Camp Out option in terms of ground to be covered, plans can range from staying in one place for the whole time to covering large expanses of the island with a different place to sleep and dine each night. 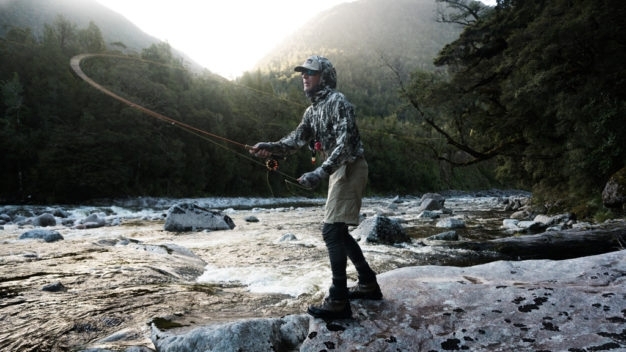 Each day you will go to where the fishing is best based on current conditions. This will also determine where you will stay each evening. 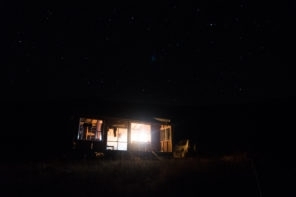 Accommodation can vary from hotels, backpackers and pubs to campground cabins, cottages or an Airbnb. Dinners and breakfasts are taken at local restaurants. Guests are responsible for all accommodation and dining expenses for themselves and their guide. Lunches are included in the day rate. This option is easily coupled with a road trip camp out or a back country walk in, but carries a two day minimum for us to make it work. 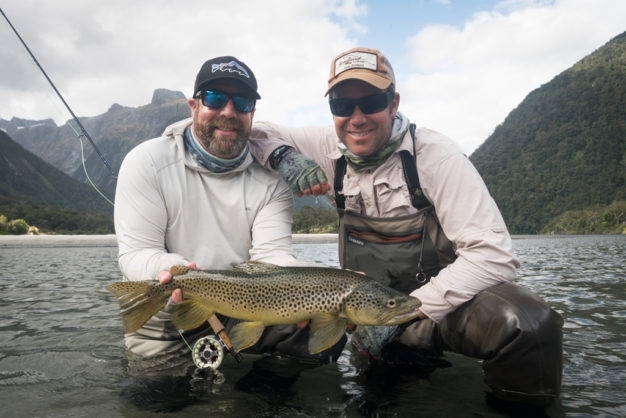 Contact us today and let us help you plan a customized trip into a world of clear water and massive trout on the South Island of New Zealand.